There’s an undeniable adorableness to Frankenweenie. The feature film based on a short film from very early in Tim Burton’s career is definitely a welcome return to form for the eccentric filmmaker. Most of us have had a pet that we’ve loved dearly that left us far too soon, and that kind of void can never be properly filled. When Victor loses Sparky, his best friend in the whole world, he brings him back using science. What is a simple plot from a short film was brilliantly adapted to a full length feature film and one that is filled with an amazing voice cast and great performances. 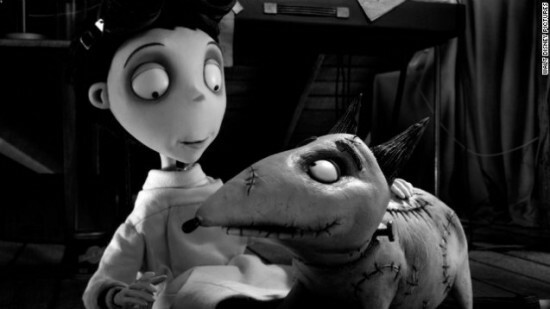 It’s got a lot of heart, and it’s easy to see how, out of an amazing crop of animated films in 2012, Frankenweenie garnered a best animated picture nomination. Let’s hope that Tim Burton has more of this in him and is ready to give Johnny Depp a break. All New Original Short: “Captain Sparky vs The Flying Saucers”—An exciting all-new short featuring Victor and Sparky’s home movie. 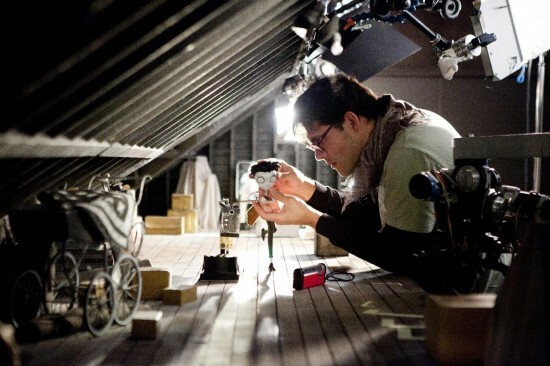 “Miniatures In Motion: Bringing ‘Frankenweenie’ To Life”—Viewers get an in-depth tour of the London set that includes never-before-seen footage showcasing the hundreds of artists who worked on the film. “Frankenweenie” Touring Exhibit—Allows audiences to explore the artistry of the film’s puppets, sets and props in a showcase that’s traveling the world. “Frankenweenie” Original Live Action Short—Burton’s original live-action short film. Stop motion is an incredibly complicated and fascinating process of filmmaking, and the special features highlight this process beautifully. This is going to be one of the more high quality blu-ray releases of a 2012 release and it’s available on Amazon right now. Until next time, be sure to follow me on Twitter at @jcdeleon1 for updates on all things movies and sometimes sports!